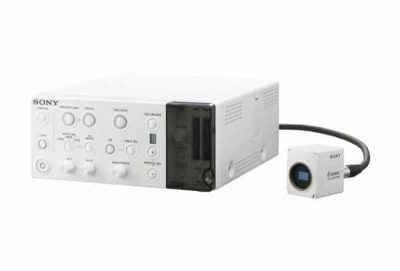 The Sony PMW-10MD Full HD Medical Grade camera system combines outstanding image quality with the convenience of a built-in HD recorder. Its compact size and remote head design allow for simple integration into a wide variety of medical and scientific applications. The camera is equipped with 3 one half-inch (1920 x 1080) ExmorTM CMOS sensors, each delivering over 2 million pixels. Although small in size, the Sony PMW-10MD delivers a superb video image, excellent sensitivity of F10, and a remarkable signal to noise ratio of 54 dB. Combine these specifications with a high horizontal resolution of 1,000 TV lines and a wide dynamic range of 450%, the PMW-10MD stands out as one of the best camera systems available for medical applications.